The decision to withdraw the obesity treatment fen-phen from the market in 1997 caused panic among many dieters. Many people were tempted to risk their health for the sake of losing their weight. However, the health risks associated with fen-phen are too serious to ignore, the Food and Drug Administration decided. Do not be tempted to purchase fen-phen illegally or over the Internet--the consequences could be fatal. Doctors prescribed fen-phen to many people in the short time it was available for sale. Fen-phen prescription was "off-label," meaning it was prescribed for a use that had not yet been approved by the Food and Drug Administration. The problematic ingredient, dexfenfluramine, was approved for use on people who were overweight by 30 percent or more, and fen-phen was to be prescribed for short-term use. It was effective for 60 percent of patients who lost 10 percent of their body weight, and 85,000 people were prescribed the drug each week at the height of its popularity, according to an article from the University at Buffalo. Fen-phen combined two drugs that were approved for use individually, but had not been approved by the FDA in combination. Phentermine, an amphetamine that stimulates the central nervous system, was approved in 1959 and is still used today. The other ingredient, either fenfluramine or dexfenfluramine, worked to inhibit hunger pangs. Both fenfluramine and dexfenfluramine were removed from the market in 1997. The FDA highlighted the side effects of fen-phen when it was discovered that the combination could cause heart valve problems. An investigation by the Mayo Clinic and Mayo Foundation found 24 cases of heart valve problems in patients taking fen-phen. In addition to these results, nine other reports noted similar findings. After the FDA put out a call to medical professionals to report any such findings, 66 more cases were reported to the agency's Medwatch program. Following the FDA's announcement, a number of individual and class action lawsuits were brought. The lawsuits were filed against the manufacturers, distributors and retailers, as well as against the pharmacists and physicians who prescribed and supplied the pills. Phentermine is still prescribed today for short-term weight loss. 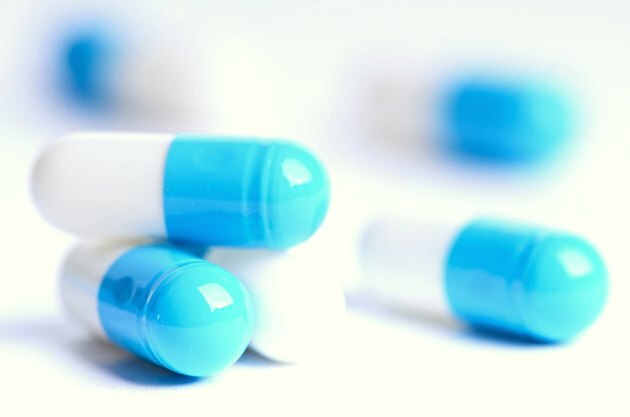 According to Dr. Donald Hensrud, a preventative medicine specialist with the Mayo Clinic, phentermine might be useful to start off your weight loss, but you are likely to put the weight back on when you cease taking the tablet. There are also some side effects associated with phentermine that you should be aware of if you are prescribed it. Increased blood pressure, dizziness, dry mouth, insomnia and constipation are all potential side effects. Although fen-phen is unsuitable for healthy weight loss, there are a number of alternative approaches that you may find more appropriate. You may find that changing your diet, regular exercise, weight-loss surgery or other prescription weight loss medications may suit your needs, according to the Mayo Clinic. Discuss your options with your doctor to find the right approach for you.